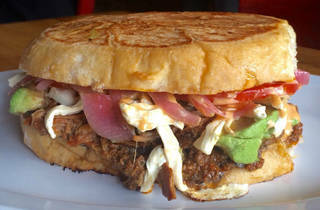 It’s all about the torte here, the traditional Mexican pressed sandwich made with Telera (like a thick French roll). 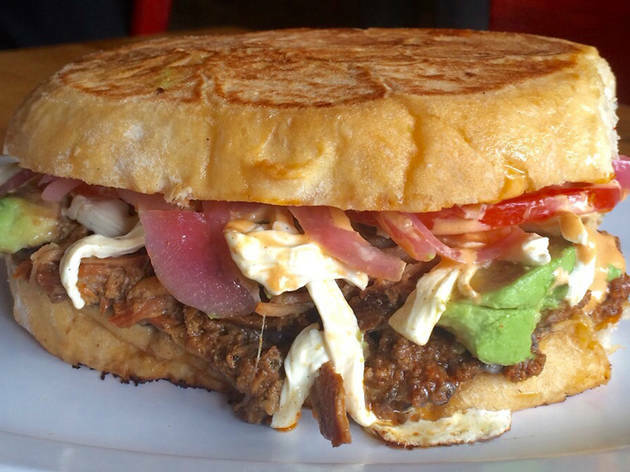 The sandwich’s meat or vegetarian base is generously topped with Oaxaca cheese, chipotle mayo, onions, avocado and tomatoes. Rest assured that the requisite tacos, quesadillas and burritos are all here too, along with Mexican sodas for the full authentic experience. The recent opening of a new branch in Davis Square (there’s also a Medford outlet and a food truck) caused heart palpitations among Somervillians happy to wait in half-hour lines for their dinner.